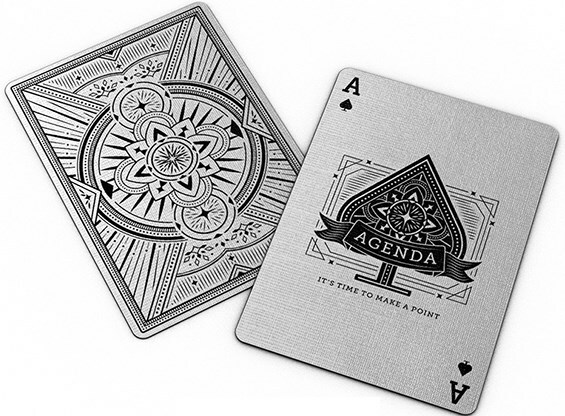 Flagrant Agenda brings you their newest deck series, Agenda Playing Cards, to express their ideas about change and transformation through the art of playing cards. Each deck is dripping with symbology, from depiction of a serpent to represent growth through the shedding of skin to depiction of waves, which are so fluid and malleable but affect everything around them. 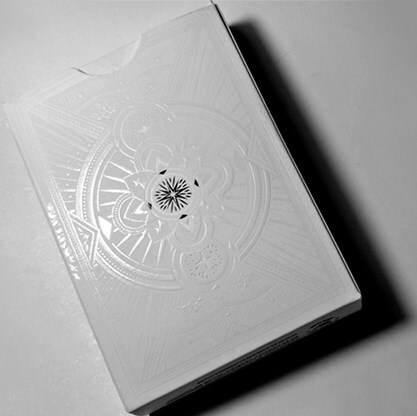 The deck itself shows off a clean and simple monotone design. The tuck case is embossed and UV printed on thick matte stock, and closed with a numbered seal. 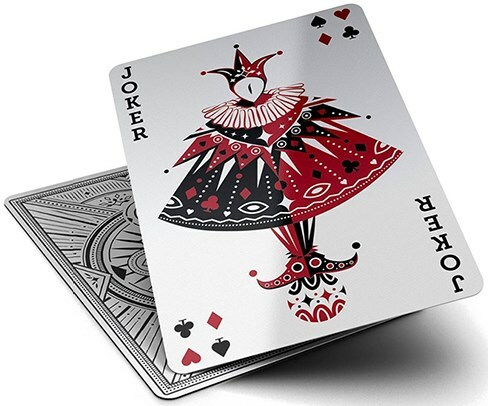 Printed by the EPCC with a Damask finish, the cards are custom designed on front and back. This a beautiful deck you'll be proud to display in your collection or to use for elegant magical diversions. 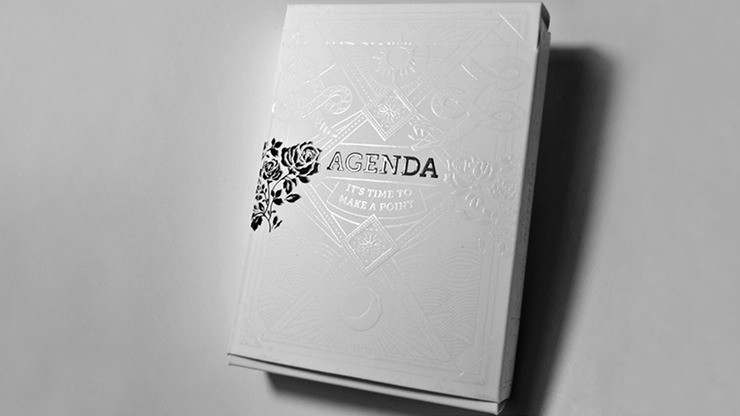 However, only 1,000 numbered decks were made, so get yours soon! Purchase today!